The recent incident of illegal dredging in a Scottish MPA has exposed a serious problem for producers and consumers of Scottish seafood, highlighting that we don’t know, with any geographical accuracy, where much our seafood comes from. Open Seas’ follow up investigations suggest that legally and illegally caught fish and shellfish is being sold alongside one another, with buyers unable to distinguish legal catches from illicit ones. With increasing consumer demand for sustainable food with assured provenance and traceability, this article explores how improved vessel monitoring can solve the pressing problem of “grey fish” – fish of no proven origin – in our supply chains. On Friday 25th January, two scallop fishermen – Davy Stinson and Steve Barlow – hand-diving for King scallops off Scotland’s west coast, encountered evidence of damage to the seabed consistent with scallop dredging. The divers saw the tracks of scallop dredges on the seabed and a trail of broken scallop shells. 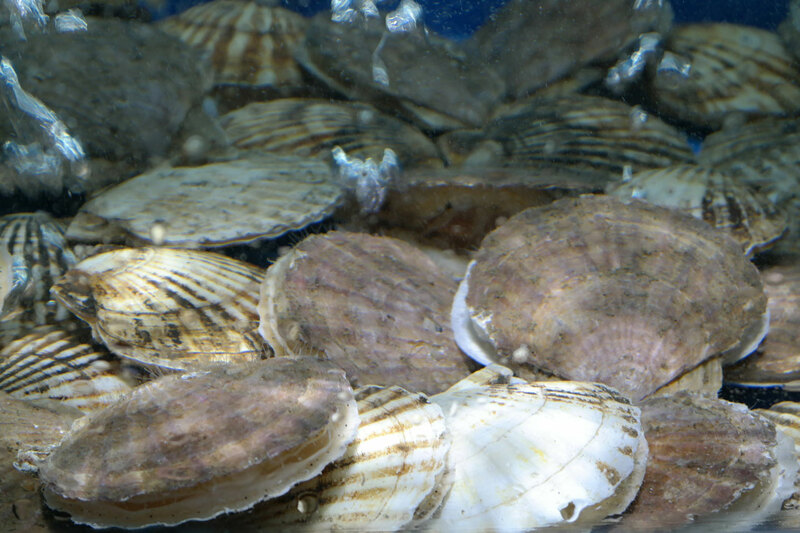 The shells were cracked open, containing the scallop flesh, or ‘meat’, still inside, indicating that the damage had been inflicted recently (seabed scavengers, like crabs and lobsters had not yet moved in to eat the dying shellfish). Dredge damage is unfortunately not an unusual sight, but this damage was witnessed inside a Marine Protected Area – and also a Special Area of Conservation, designated under EU law – where scallop dredging has been banned since 2007. The divers immediately reported the damage to Marine Scotland Compliance, phoning the suspicious activity hotline, but were not advised whether this would trigger any further investigation. The two divers had no camera equipment to document the damage and, concerned that their statements were not robust evidence, they resolved to re-dive the site with cameras when the next period of weather would allow. One week later (Friday 1st February), the divers retraced their fishing trip. We joined them that day. It was a bright and relatively calm morning and the steep rocks of Insh island sloped into the waters, marking the surrounding reef. Steve dived the site where he had previously witnessed the broken shells. Visibility below the water was not ideal; the water was stoorie, thick with suspended sediment, but as he swam over close to the seabed, his torch again illuminated smashed shells littering the seafloor. Steve returned to the surface and brought further evidence of the dredging onto deck – scallop shells with hinges intact. A scallop’s ligament – which connects both shells of the scallop like a rubbery hinge – decays and snaps within weeks of dying, but this hinge was still unbroken and a ragged hole had been smashed through one of the shells. With a combined diving experience of over 50 years, Davy and Steve knew the site well, were able to describe the underwater features of the area and know the tell-tale signs of dredging. They were clear – this was concrete evidence of scallop dredging. We agree. Davy Stinson dived another location directly afterwards and found similar evidence of broken shells (unfortunately the camera was off for most of this dive so most of what he witnessed was not captured in footage). The video footage prompted media interest and a spate of news reports (here, here, here, here and here) which centred around the issue of illegal fishing. There was a clear response from concerned fishermen who openly rebuked the illegal fishing. Fishing representatives sought to distance their members from the activity and no-one denied that illegal dredging was taking place. Indeed it transpired that some sectors of the industry had known of this issue for over nine months, and illegal fishing in MPAs was noted in minutes of the West coast Regional Inshore Fisheries Group. Illegal dredging is bad for the environment, not least in areas of highly productive and diverse habitats like the Firth of Lorn, which is still recovering from historical damage caused by dredging. People are increasingly aware of the problem: dredge gear digs up to 10cm into the seabed and a single tow can rip up fragile habitat that may never fully recover. Estimates vary for different species depending on the seabed type and local tidal and wave conditions, but it can take decades for sensitive areas to replenish. The other very real victim here is the reputation of our seafood. As the Minister for Rural Economy Fergus Ewing has said of Scotland’s Food and Drink strategy: “our brand is based on provenance, our reputation for high quality, our clean natural environment.” Unfortunately, this incident highlights a much broader issue about the condition of our clean and natural environment, which is putting that ‘brand’ at risk. Selling catches from illegal fishing in MPAs is ‘fish fraud’ plain and simple. The UN’s Food and Agricultural Organisation (FAO) has recently published an ‘Overview of Food Fraud in Fisheries Sector’ and highlights common types of fraud including actions intended to “hide an illegally harvested…species from a protected area“. The current regulation of dredging unfortunately makes illegality in the Scottish dredge sector difficult to stamp out. This means illegally caught products can find a route to market. 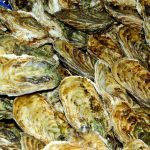 Shellfish caught illegally by rogue skippers (e.g. from inside Marine Protected Areas) is entering the supply chain in such a way that buyers of the products cannot definitively distinguish those caught legally from those caught illegally. Therefore, at the wholesale level, illegally caught seafood – also known as black fish – is mixing with the legal seafood. The result is to corrupt the entire system: the resultant “grey fish” – seafood with no guarantee of sustainable or legal provenance – is in no-one’s interest. Read the full article at Open Seas.